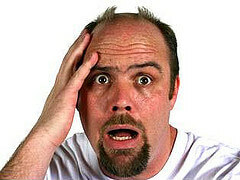 Did you know that Male Pattern Baldness is the main reason why men start balding? Male pattern baldness (MPB), the most common hair loss in men starts with the thinning of the hairline in the temple area and moves its way back to the crown of the head. MPB most commonly starts in the late twenties and early thirties, with rare exceptions of early twenties and even late teens. It is important to monitor the different levels of your hairline so that you can treat the balding before it gets more extreme. Many people believe that their hair patterns come from only their mother’s side. Unfortunately you hair loss can come from your father’s side as well and even skip a few generations. Do your homework and research your family tree to see what type of hairline you will have as you grow older. At Dave’s Barber in Woodstock, GA we can give you the right cut for your hairline and give you ways to style your hair to hide the balding. Come see us today and we will see what we can do for you!